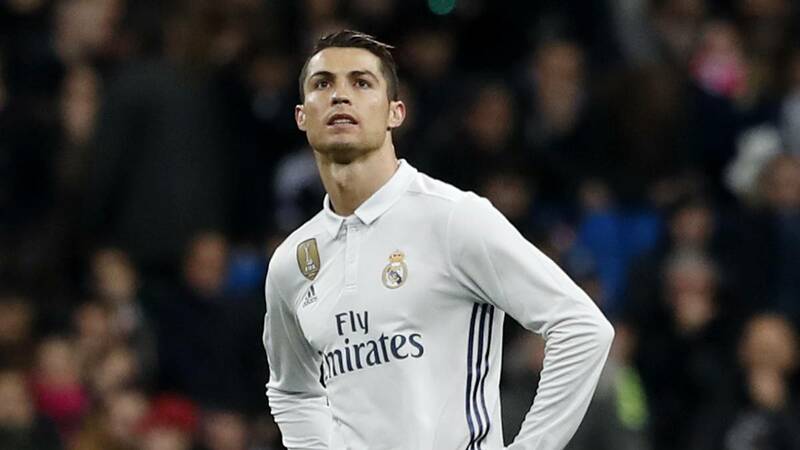 Madrid, Nov 23: Declining to be interviewed, Real Madrid's star forward Cristiano Ronaldo has accused the media of twisting his words after he scored twice to set yet another record in the 6-0 Champions League Group H win in Nicosia. "I'm not talking as when I talk I'm not understood," Ronaldo was quoted as saying by the media. "And then you (media) talk about something I did not say." Real were rampant as Luka Modric, Karim Benzema (two) and Nacho were also on the scoresheet besides Ronaldo as the defending champions progressed to the round of 16 behind Tottenham, who secured top spot in the group with a 2-1 win at Borussia Dortmund. Ronaldo's brace took him to 18 Champions League goals in 2017. He broke his own record for most goals in the competition in any calendar year and also to score 100 goals with Madrid in UEFA competitions. Meanwhile, Benzema became leading scorer among Frenchmen in the Champions League on 53. He scored a brace to pip former Arsenal forward Thierry Henry. The 29-year-old now has 184 goals for Madrid, two more than club legend Paco Gento, and sits sixth in Los Blancos' goal scoring charts. "I've been a long time waiting for this goal... I will never forget it," he tweeted. "I am proud to outdo legends like Thierry Henry in the Champions League and Gento in Real Madrid's history." "It's not important how many minutes had passed since I scored," Benzema told BeIN Sports. "There are times when you don't score, other times you score every week. I don't listen to what is said, just do my job. Whoever is not happy, that is their problem."